the isthmus, at the narrow gates of the lake. and they shall call the place Cow's-ford. The cow that crossed the Bosphorus was actually the young lover of Zeus, Lo, who he turned into a beautiful white heifer to protect her from his jealous wife Hera. Even so, Hera, realizing she had been deceived, demanded the heifer from Zeus and tormented her into madness by having a gadfly unceasingly chase her from place to place. When Lo the cow comes upon Prometheus the titan where he has been chained to a rock by Zeus, knowing his ability to read the future, she asks him what the extent of her journey will be. He eventually agrees to tell her that she will have to cross a channel to travel to the land of the Amazons and in due course come to rest in the land of the Nile. The body that divides the East from the West, Europe from Asia, the Bosphorus, has always defined the character of the city, spanning 3,700 m to 700 m at its narrowest, and 30 km long. 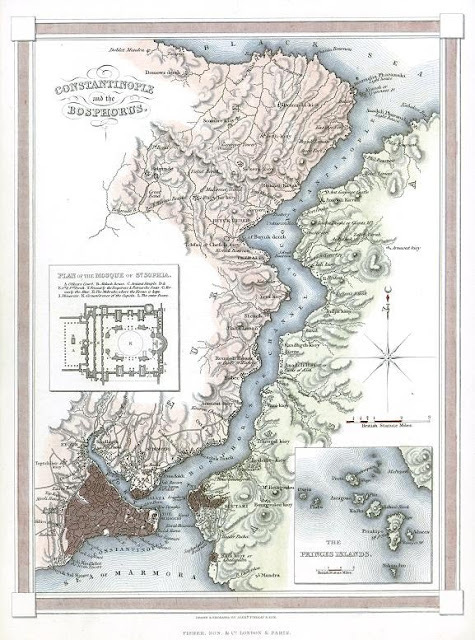 The first recorded bridge to cross this strait was constructed of boats and commissioned in 490 BC by the Persian emperor Darius, linking the temple on the mouth of the Black Sea (Pontus Euxeinos) and the Bacchus temple near the Marmara Sea (Propontis). During Ottoman rule engineers dreamt of constructing a bridge once again that would follow the coordinates of Darius’ bridge and carry railway across. Two bridges were planned, one between Sarayburnu and Üsküdar, and the other between Rumelihisarı and Anadoluhisarı very proximate to today’s Second Bosphorus Bridge. 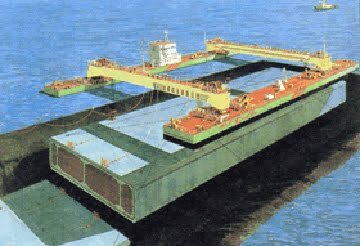 However those plans were rejected by the Sultan Abdülhamit in 1878 as was the proposal a couple years later for an underwater tube bridge. Again in 1931 a proposal drawn up by the first plane manufacturer in Turkey, Nuri Demirag, to link Ahirkapi with Salacak, modeled on the San Francisco-Oakland Bay suspension bridge, was approved by Ataturk but was rejected and deemed impossible by the Minister of Public Works. Finally on July 3, 1967 after a decade of existing in discussion at an official level, the Turkish Grand National Assembly put in place a law on the works of the First Bosphorus Bridge, linking over 1560 m, Ortakoy on the European side with Beylerbeyi on the Asian side. In 1988, the second gravity-anchored suspension bridge was constructed across the strait to deal with the unprecedented mobility within the city. Bridges across the Golden Horn, the other inlet of water in Istanbul, have existed continuously since 1845. The current Galata Bridge is the fifth bridge built in its place after the previous four were destroyed for various reasons. Today 330,000 vehicles cross the Bosphorus bridges daily, while the same number of passengers use ferry transport throughout Istanbul. Over a million passengers a day travel on a rail network of 138 km, while 591 bus routes and 123 minibus routes service 5 million passengers on a network of 6,100 km. At the same time there has been a large increase in motor vehicle use and motorized travel time; currently there is 35% car ownership that is projected to increase to 65% by 2023. Today only 4.6% of motor transport is rail, compared to 60% in Tokyo, 31% in New York City, 22% in London and 25% in Paris. 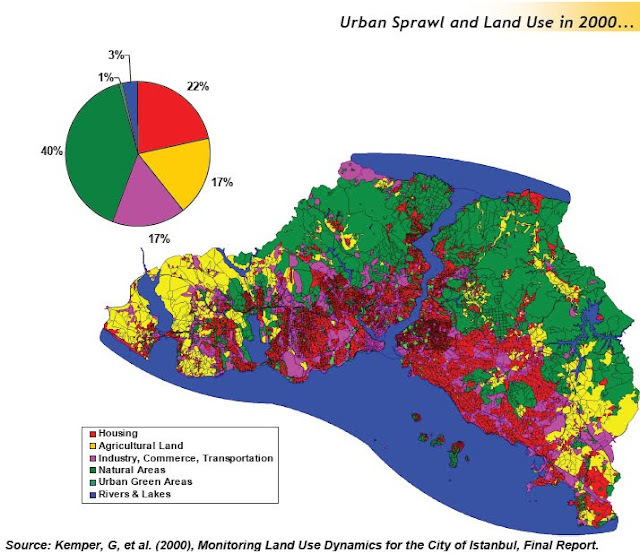 What does this mean for Istanbul as a living space and city? Thirty-five years ago the Bosphorus was only crossed by boat and since the population has quadrupled. New urban infrastructures are being constructed in the city to further mobilize its citizens: In 1989 the first light rail was constructed, in 1990 the tramline, and in 2000 the first subway line. 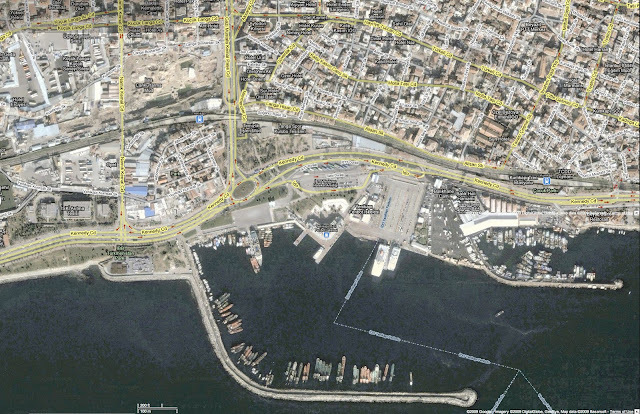 Currently the Marmaray Project is near completion and due to open in 2012. The Marmaray tunnel is part of a larger project that includes updating the existing train lines and 37 existing stations, creating a new continuous line from Gebze to Halkali. It is over 76 km long and adds a third line parallel to the existing to increase capacity, while bringing to life the 1860 idea for a bridging tunnel under the Bosphorus Strait. One point four kilometers long, the new Marmaray tunnel will be submerged 60 meters below sea level, 55 meters of water and 4.6 meters of earth, constructing the “deepest undersea immersed tube tunnel” in the world. The new tunnel will carry 70,000 passengers per hour across the Bosphorus in 4 minutes, while travelling from Gebze to Halkali will be reduced by forty minutes, totaling 105 minutes. It is projected that the use of rail transportation in Istanbul will rise from 4.6 % to 27.7% after the new train line is fully constructed. (i) reduce adverse effects on historical buildings and heritage sites by offering a potential for reducing the number of cars in the old centre of Istanbul. While the Marmaray project is taking Istanbul into its future it is inevitably a great reflection on its past which must always be considered as many layers within the current condition. 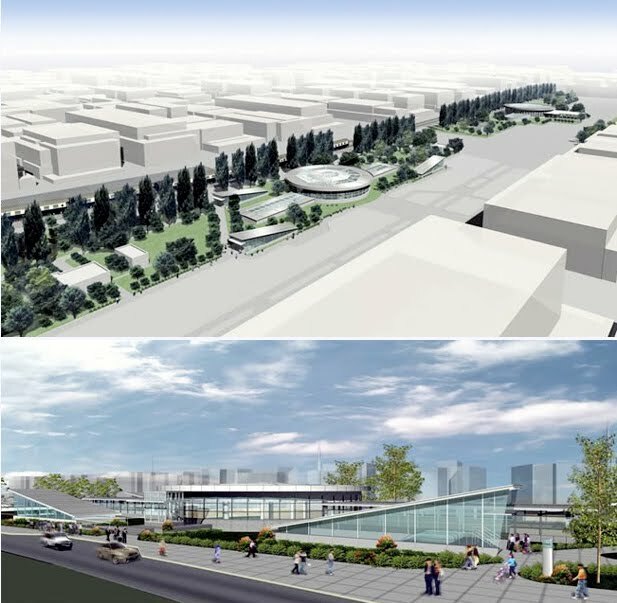 Excavation for a new central transport hub at Yenikapi, currently a ferry port and metro station, was envisioned to extend down to the Marmaray tunnel and expand to include light rail, creating a large intersection of infrastructure in the city. Beginning in 2004 the excavations accidentally came upon and unearthed the lost Byzantine port of Theodosius I from 4TH century AD, including over 37 Byzantine ships from 7th to 11th century AD, the largest to date over 40 m long. The excavations site now extends over 58,000 square meters, about 10 city blocks. The ships found are all in a state of wreckage that experts believe was caused by a tsunami like storm a thousand years ago. 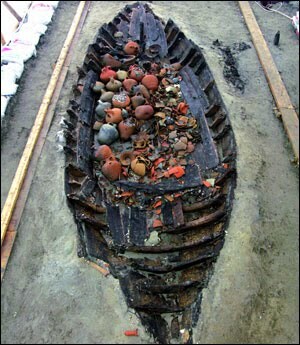 The advantage is that the ships were well preserved in the sand slit they sunk into and have all their details intact that can bring to light the ship building techniques of their time. 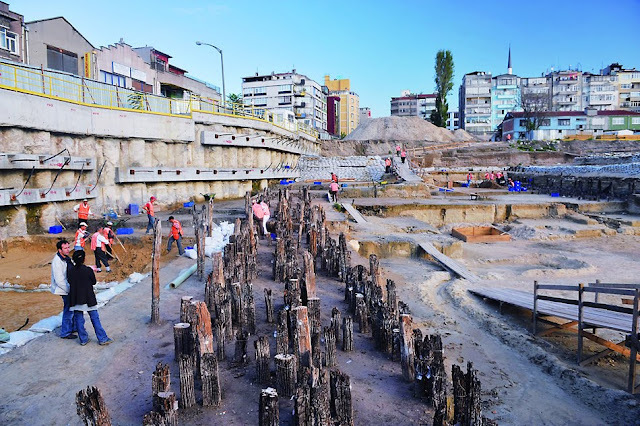 Aside from the port, part of the Emperor Constantine’s city wall has been found, the remnants of an Ottoman bazaar that was built over the port and other artifacts from Istanbul’s original settlement, going back to 6000 BC proving Istanbul’s history to date back further than known before. While the ships are being moved off the site to be analyzed the Marmaray project is being delayed two years and future of the site is for the most part undetermined. 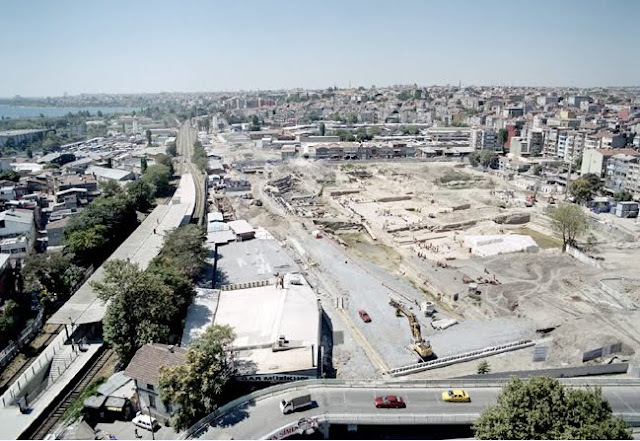 What is certain is the need to reconcile the richness of Istanbul’s fabric and urban contexts with the hyper activity of the new infrastructures being imagined and built. Beyond the Marmaray project, looming statistics of the growing population, car use, energy use, and congestion, have other projects in line such as a third Bosphorus bridge which has been approved, and a proposed Bosphorus car tunnel, as well as urban road tunnels and flyovers. The Yenikapi station site is an example of the uncertainty of the intersection of these infrastructures with other events in the city. The imagined station proposals appear static and sterile in relation to the larger frame of the urban project. An interior urbanity is needed for the new subterranean spaces of the city that can negotiate with a flexible framework the overlapping zones of proposed archeological park, train stations, transfer point, and public corridors. Credits: (1-2, 5) by the author; (3) stock-images.antiqueprints.com; (4, 9, 10, 11) marmaray.com; (6, 7, 8 ) "Urban mobility and energy trends in Istanbul," euromedina.org (pdf); (12, 14, 15, 16) "Uncovering Yenikapi," saudiaramcoworld.com; (13) Google Maps. I really ejoyed your article. I traveled to Turkey with a student group in the spring and became very interested in the Marmaray Project. 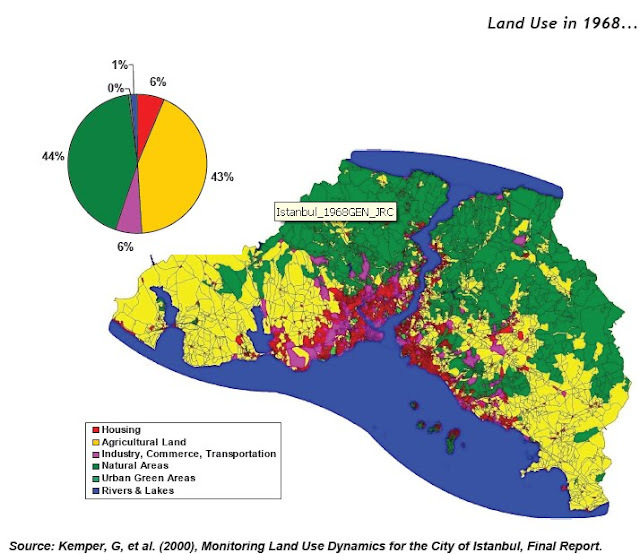 I am planning on writing a paper on the economic impact of the project on Istanbul and the surrounding areas. I've been having trouble finding up to date resources in English and was wondering if you might have stumbled on any in your research regarding economics and the current status and goals of the project (I already looked at the sources you cited). Thank you for any help you can give. My email is rml410@lehigh.edu. Can Quality Housing Be Affordable? Haverleij Housing Project: A Suburban Prototype?